LOCATION AND LAND!! 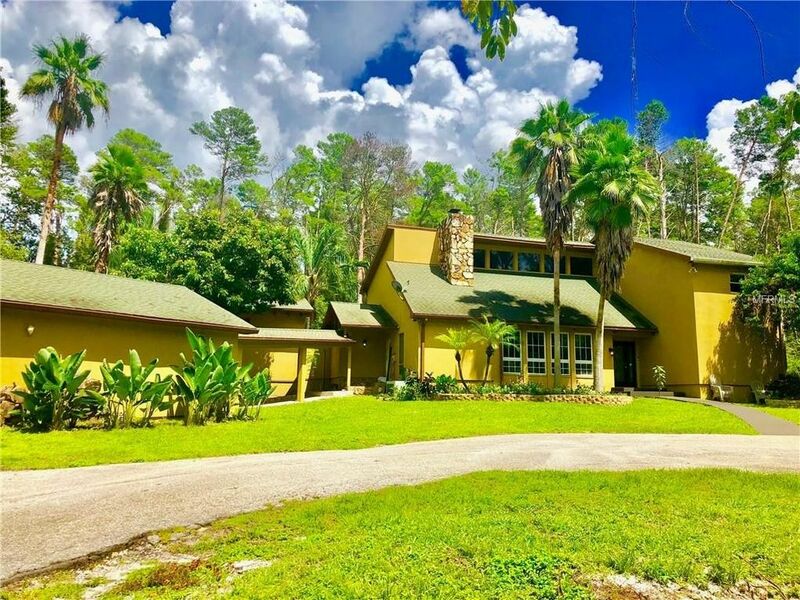 2 ACRES OF PRIVACY IN THE HEART OF PALM HARBOR!! THIS UNIQUE FOUR BEDROOM HOME IS SURROUNDED BY WOODED MATURE LANDSCAPTING IN A TRANQUIL SETTING! THE HOME FEATURES A FOUR BEDROOM OPEN FLOOR PLAN! SOARING CEILINGS! TWO WOOD BURNING FIREPLACES! AND HUGE UPSTAIRS MASTER SUITE WITH A BALCONY THAT OVERLOOKS THE POOL AND OFFERS SERENE WOODED VIEWS. A SECOND MASTER BEDROOM IS ON THE FIRST FLOOR WITH FRENCH DOORS LEADING TO THE POOL AREA. POOL AND LANAI ARE READY FOR ENTERTAINING AND FAMILY FUN WITH A SLIDE! ELABORATE PLAY SET! FIREPIT! PUTTING GREEN! BEST OF THE BEST SCHOOLS INCLUDING PALM HARBOR UNIVERSITY HIGH! CLOSE TO SHOPPING, RESTAURANTS AND GULF BEACHES! TWO ACRES OF SOLITUDE AND TRANQUILITY! SITTING AT THE END OF THE STREET SURROUNDED BY NATURE... PRIVACY ABOUNDS!! Directions: US 19, GO WEST ON ALDERMAN, TAKE RIGHT ONTO PINE HILL RD., PROPERTY IS AT THE END OF THE ROAD.